The marriage is the turning point of life. Our life changed after marriage. 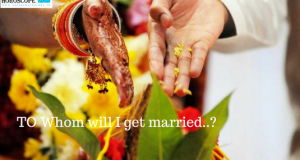 The two person’s destiny involves making a home after marriage. 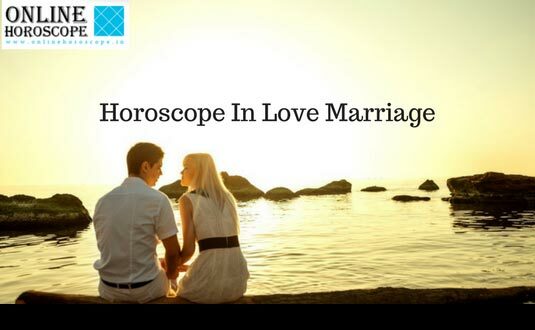 In husband’s horoscope the seventh house is of his wife as well as a wife’s horoscope have 7th house of his husband. In every horoscope there is a planet that is responsible for bright future. It depends on that planet that how much your destiny will be in your favor. 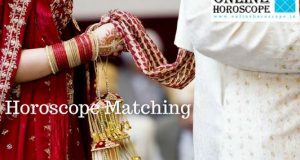 Venus is the ruling planet for marriage in horoscope. 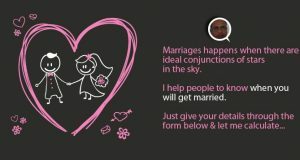 If a particular planet is relates to Venus by any aspect like sight, conjunction or exchange, then after marriage that particular planet will affect your whole life. No one can be more correct example except Bollywood stars in this regard where marriage plays a vital role in the film heroin’s life. Marriage has never affect the career of actress Shree Devi, Kajol, Kareena Kapoor, Madhuri Dixit, Vidya Balan, Sonali Bendre and Hema Malini. Hema Malini’s horoscope is much more interesting. She is Cancer by ascendant. The tenth house is analyzed for career in horoscope. Rahu exists in 10th house of Aries. The lord of Aries is Mars who is sitting in 5th house in his own zodiac sign Scorpio. 5th house is also known for entertainment media. So placement of Mars in this place is a positive point. Mars is surrounded by Mercury & Jupiter which is another plus point for success in entertainment industry. Jupiter is also looking at 10th house which is auspicious for career and the place of destiny the ninth house of horoscope there is Moon. It means future will grow like Moon’s movement. 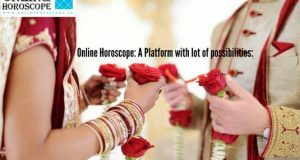 The place known for success in life is 3rd house of horoscope. Sun’s position here is another good thing for success. Like I have said above regarding the Venus, the Saturn is sitting with Venus & Jupiter’s full sight is on Venus & Saturn. This sight makes Venus & Saturn favorable or calm. Jupiter is the more powerful than any other planets affecting Venus. Whether it is Rahu or its Saturn, Jupiter is powerful & its sight keeps all these planets favorable. So After her marriage Jupiter was the only planet who controlled her life. This is how a planet shows their good / bad effect after your married life.